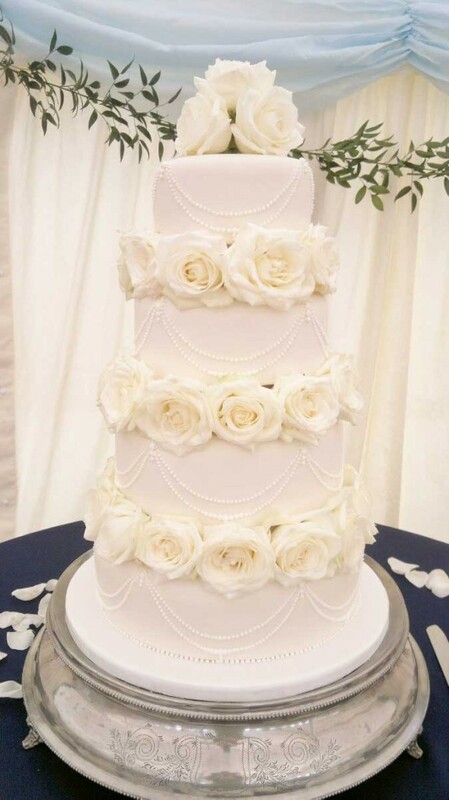 Four tier wedding cake on the Wadhurst Park Estate, Wadhurst, East Sussex. 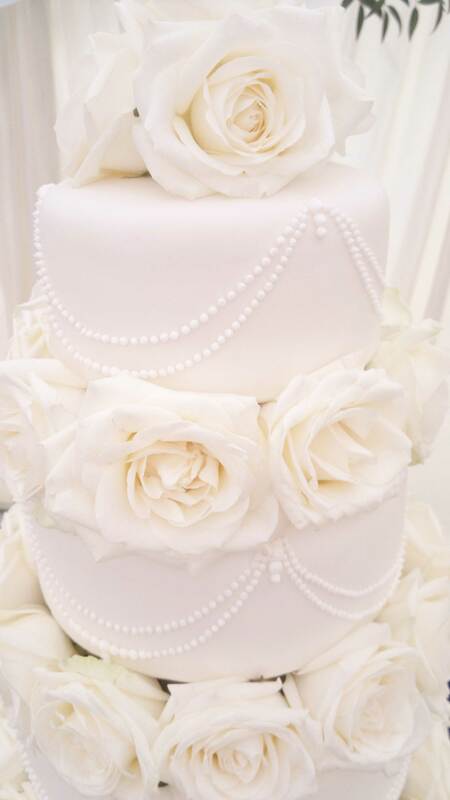 Iced ivory with hand piped swag beadwork, in white, dressed with fresh Avalanche roses. Each tier of moist rich fruit cake, top tier of gluten free fresh lemon zest sponge with lemoncurd whipped buttercream filling. Cake serves 200 finger portions.